London Bridge is now known as London Arch. It was named after its resemblance with The famous bridge in London but in 1990 one arch collapsed into the sea and left the other disconnected from the coast. Two tourists were stranded on the further end of the bridge when it collapsed and had to be rescued by helicopter. 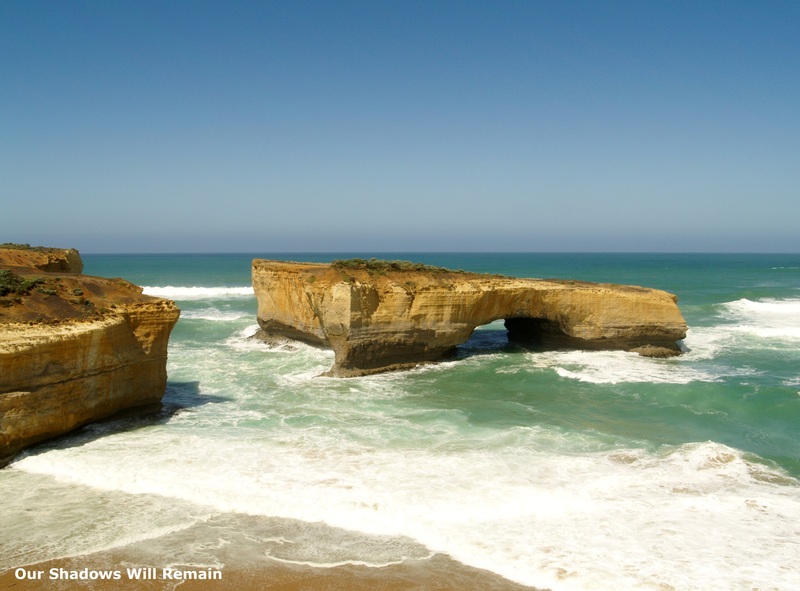 After my journey along the Great Ocean Road I continued to Adelaide and then to Perth by Crossing the Nullarbor. I was there as a young kid about two days before it collapsed. Dad wanted to take us kids on the bridge. Mum said it was too dangerous. Once again Mum was right. It would have been great to see it before the collapse. It just shows how much the tide is shaping this coast line.